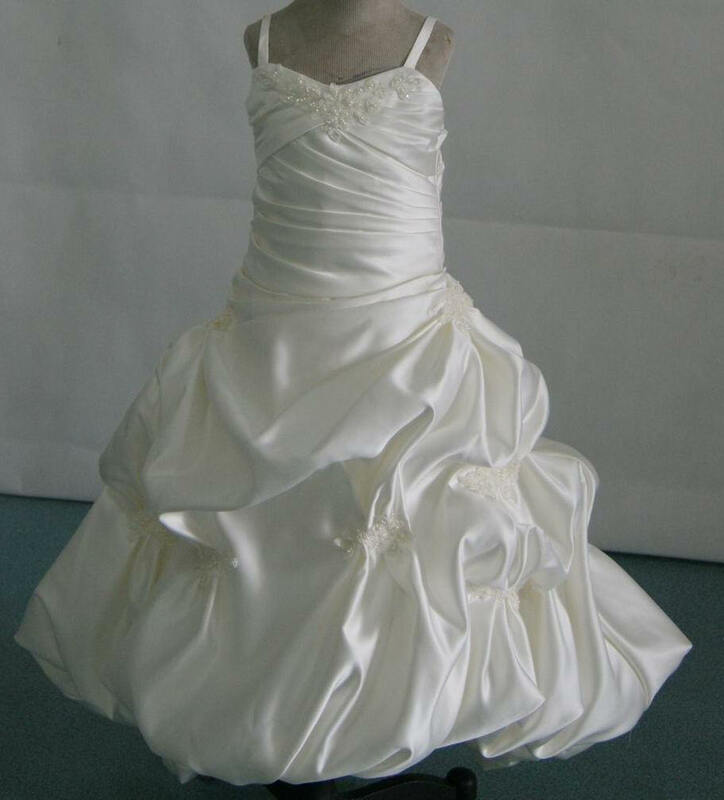 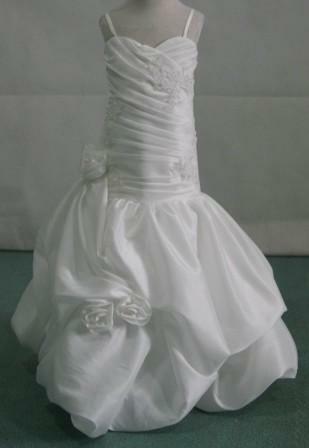 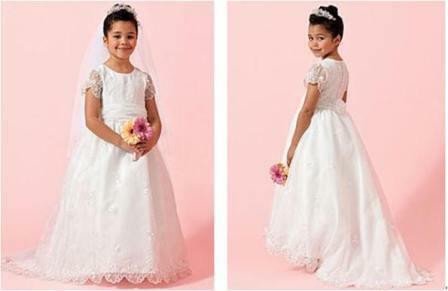 Flower girl dresses with trains - Miniature bride dresses. 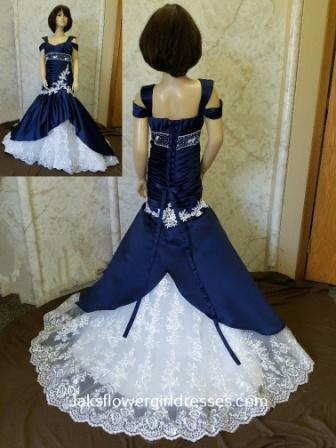 Flower girl dresses with trains. 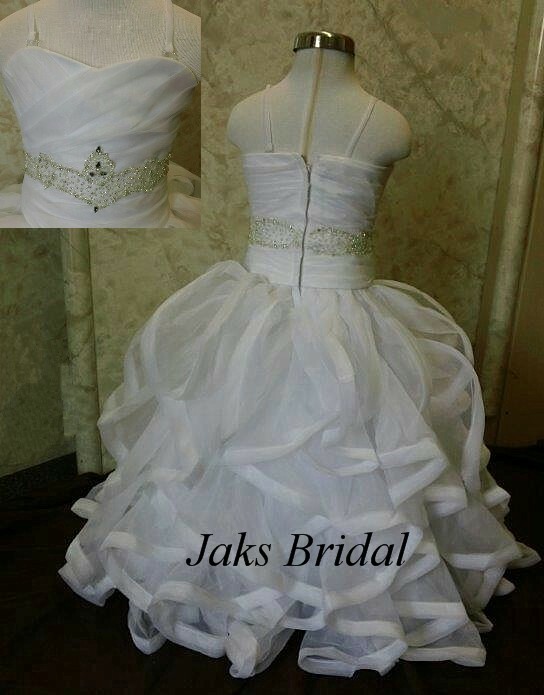 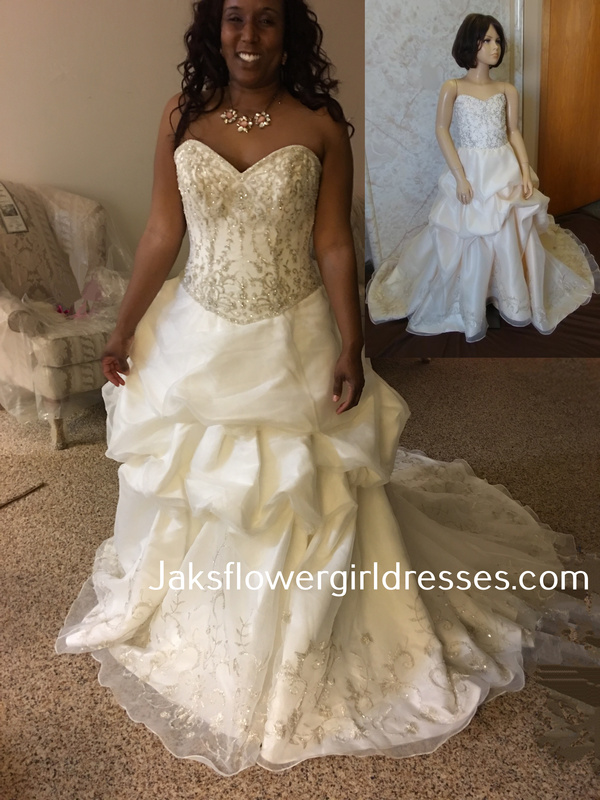 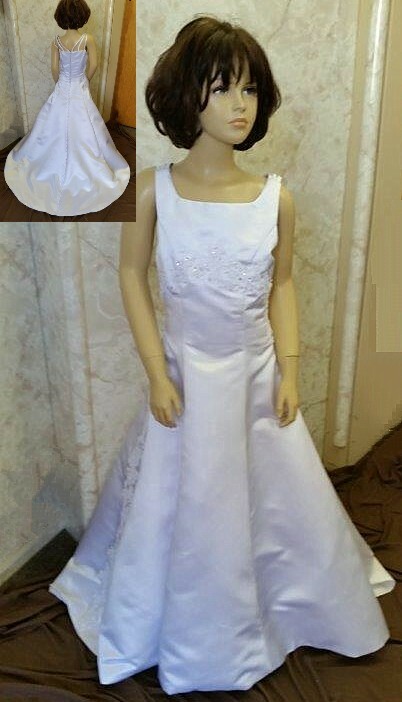 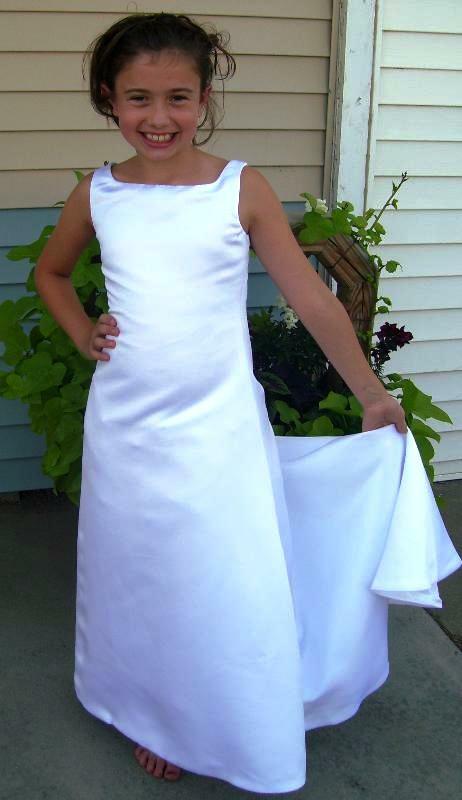 For professional service...Shop with Jaks, the Original manufacturer of flower girl dresses with trains. 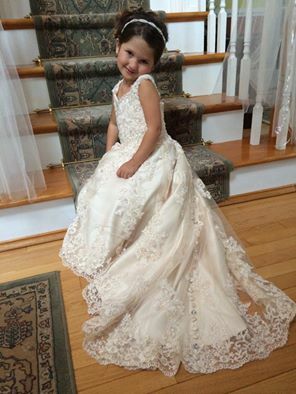 We have 13 years of experience creating flower girl dresses in every imaginable style to create precious memories for your miniature bride in her darling little gown. 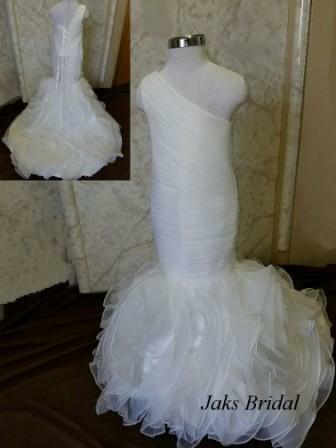 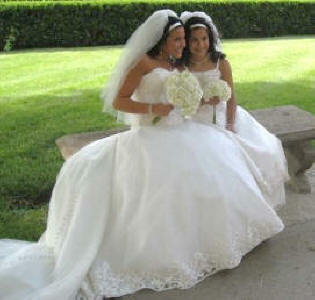 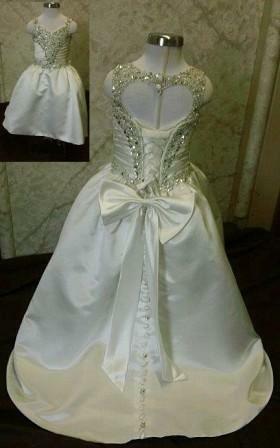 Matching bridal gowns are available on all dress styles. 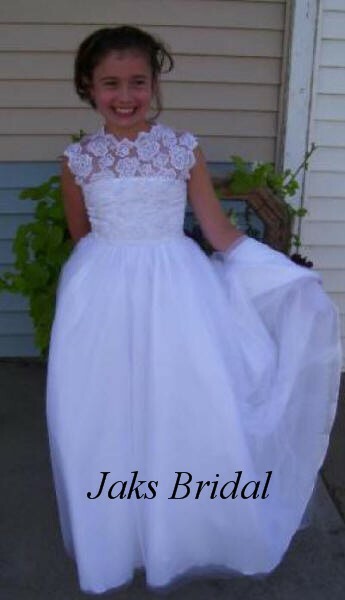 Please click on the photo for details. 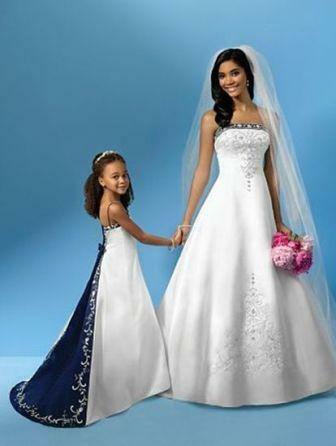 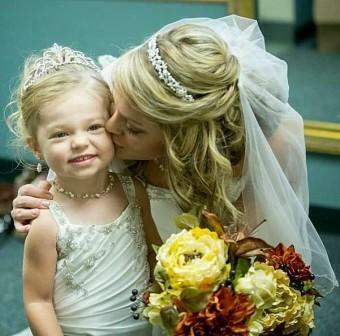 Brides dress and matching flower girl dresses. 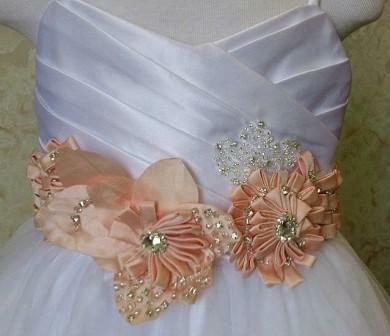 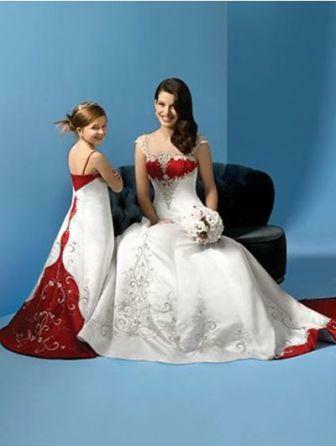 Brides dress with matching flower girl dresses. 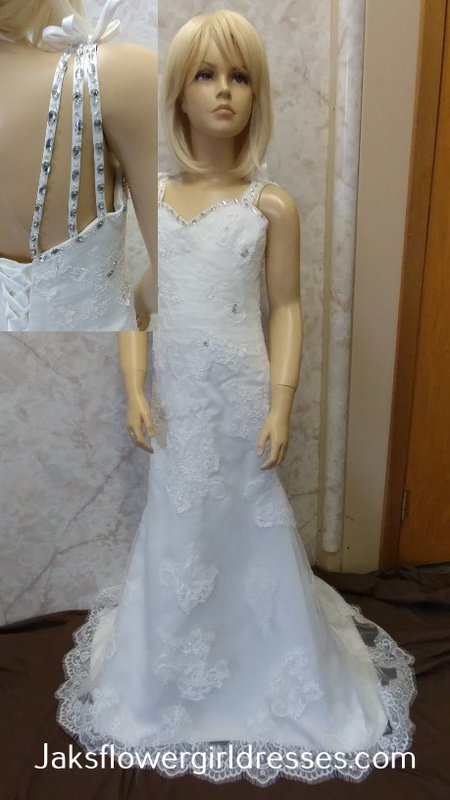 are in stock ready to ship.